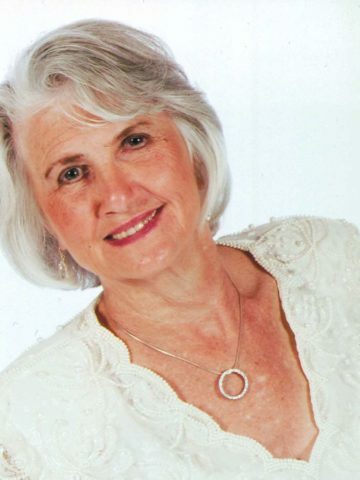 Nancy Sue Felts, age 80, of Hendersonville, passed away on Thursday, January 24, 2019. Preceded in death by her husband, Donald L. Felts, parents, James and Lina Biter, siblings, Betty Frances Evans, Robert Eugene Biter, William Fred Biter, John Craigon Biter, James Edward Biter and Mary Elizabeth Jones. Survived by her children, Tammy Ward and Matt Felts, grandchildren, Ashley Morgan Dugger (Caleb), Hanna Elizabeth Ward, Grace Leigh Felts and great-grandchild, Adylee Rae Dugger. Nancy is also survived by her siblings, Shirley Ann Yarbrough (Larry), Franklin Delanore Biter, Rodney Alvin Biter (Louise) and Donald Nesbitt Biter, along with many nieces, nephews and other extended family and friends. Nancy was born on November 22, 1938 in Cunningham, Tennessee. She was a homemaker, raising her family with her husband Donald. Early on she was a member of Alta Loma Baptist church, where she sang in the choir, and later, a member of First Baptist Church Hendersonville. She liked to cook and plant flowers around the house. Later in life she enjoyed socializing with friends, traveling and dancing with Donald. Nancy loved spending time with her grandchildren and will be dearly missed by all who knew her. A Celebration of Life service will be held at Hendersonville Funeral Home on Monday, January 28th at 2:00PM. Burial will follow in the Garden of Cross. Visitation for family and friends will be held Sunday, January 27th from 2:00PM-6:00PM and again on Monday, one hour prior to the service. Our sincere and deep felt condolences to the entire Felts Family! Nancy was a wonderful lady, wife and precious mother to Tammy and Matt. We were neighbors and friends to Nancy on Colonial Drive in Hendersonville for 22 years. Our daughters (both named Tammy) remain best of friends today! Thanks Nancy for the kindness and love shown to all the neighborhood children that were lucky enough to spend time in the Felts’ home during the 1970’s. May God comfort and surround each family member. with his love, especially sister Shirley. I know you loved Nancy with all your heart. Prayers for everyone! What a kind lady. I am so sorry Tammy and Matt. Much Love.